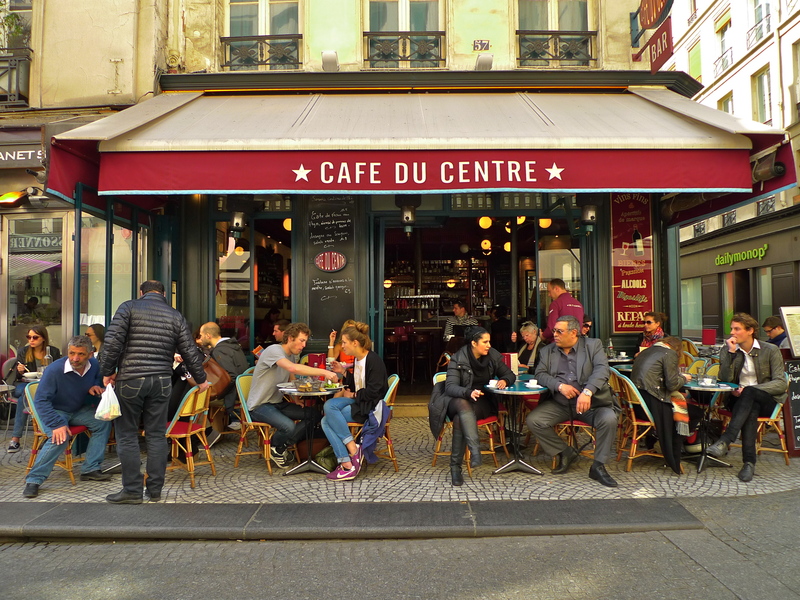 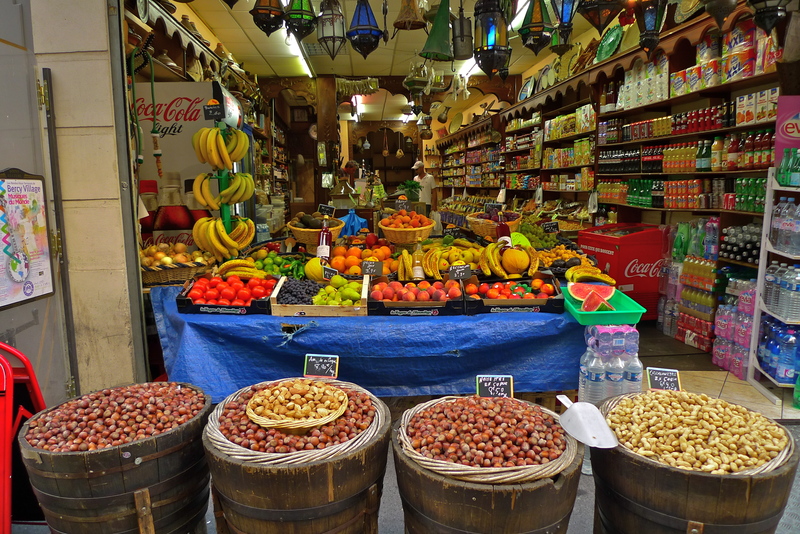 WITH ITS COBBLESTONES, bakeries, cheese and wine shops, restaurants and vibrant atmosphere, rue Montorgueil is a quintessential Parisian street ideal for a soundwalk. 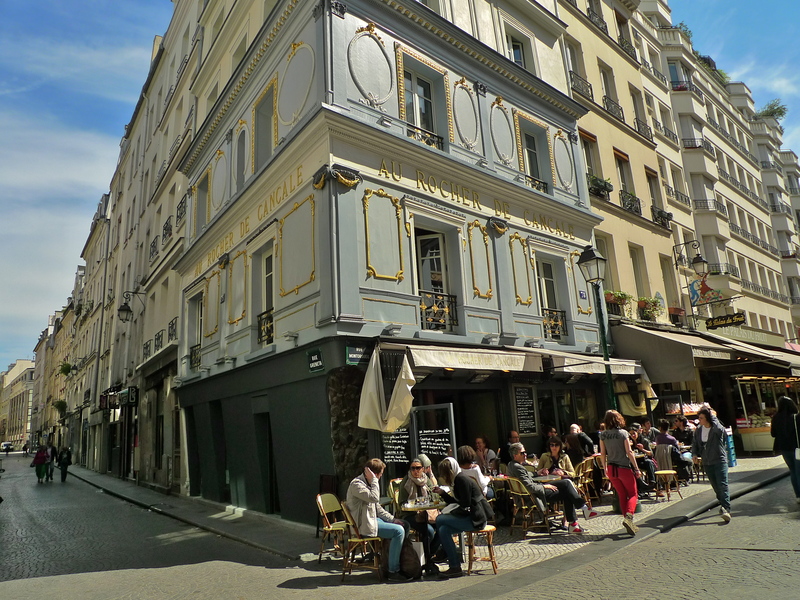 The rue Montorgueil begins in the 1st arrondissement close to the Église Saint-Eustache and the former covered market of Les Halles and it stretches to the north, across rue Étienne-Marcel, into the 2nd arrondissement as far as rue Saint-Sauveur. 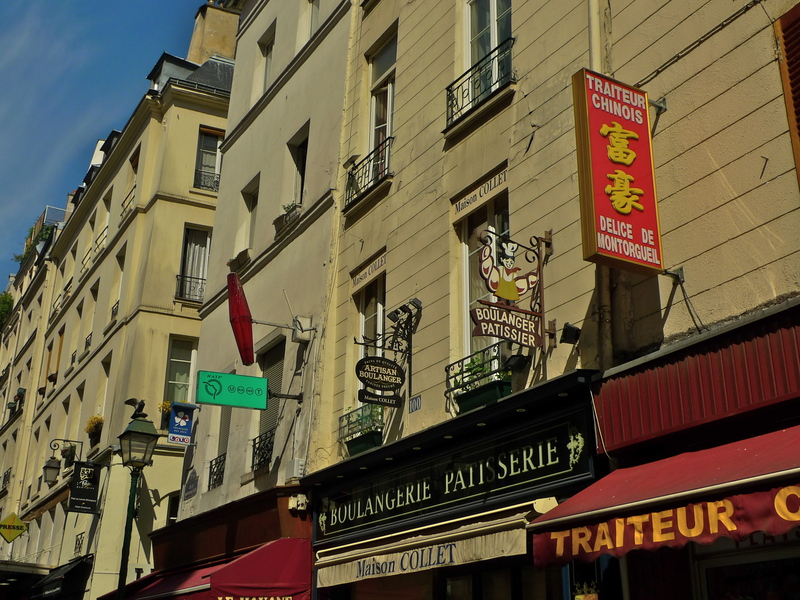 From there, it continues north where it becomes rue des Petits-Carreaux. 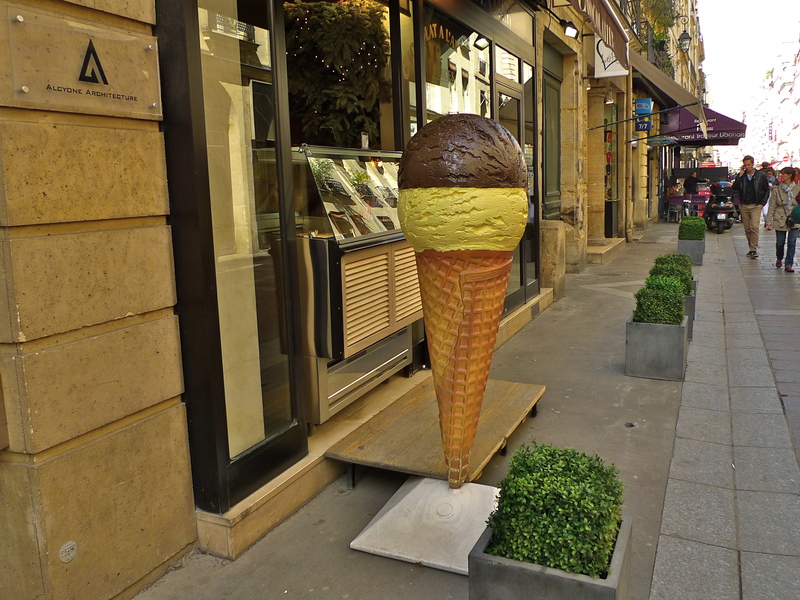 There are some places of note in rue Montorgueil. 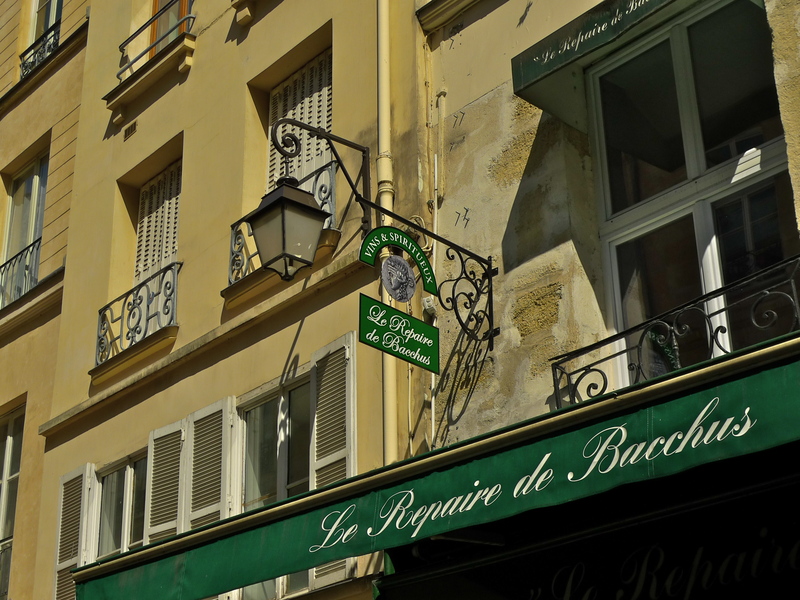 At N° 38 is the restaurant, L’Escargot, easily spotted by its distinctive sign. 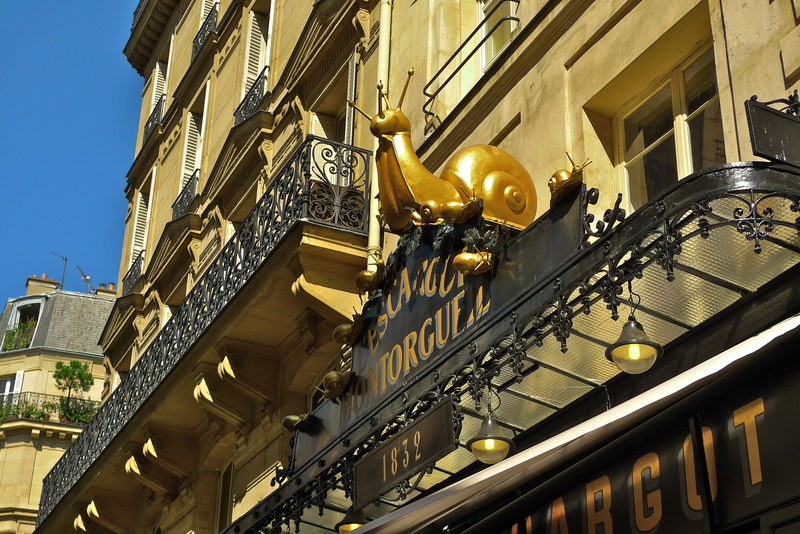 Founded in 1832, L’Escargot is, not surprisingly, famous for its snails. 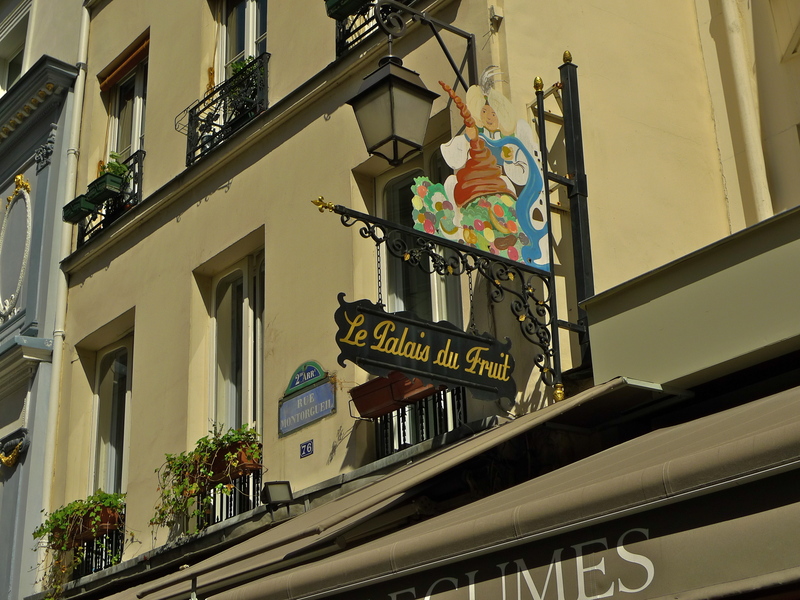 Sarah Bernhardt, Picasso, Salvador Dali, Charlie Chaplin and Marcel Proust all dined here and the restaurant still retains its authentic Second Empire décor and its traditional cuisine. 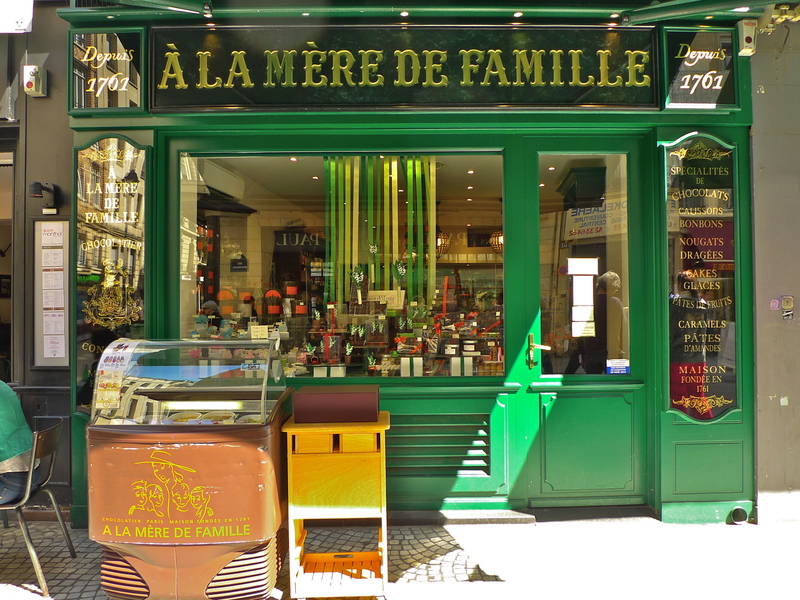 At N° 78 is Le Rocher de Cancale, famous for its oysters and crumbling facade which was painstakingly restored with gilt panache in 2012. 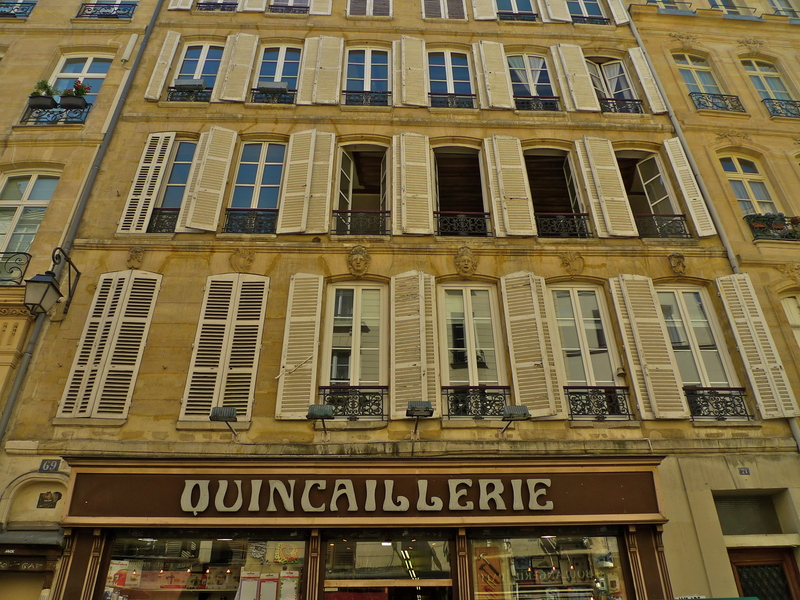 It was founded in 1804 and is now a listed historical monument. 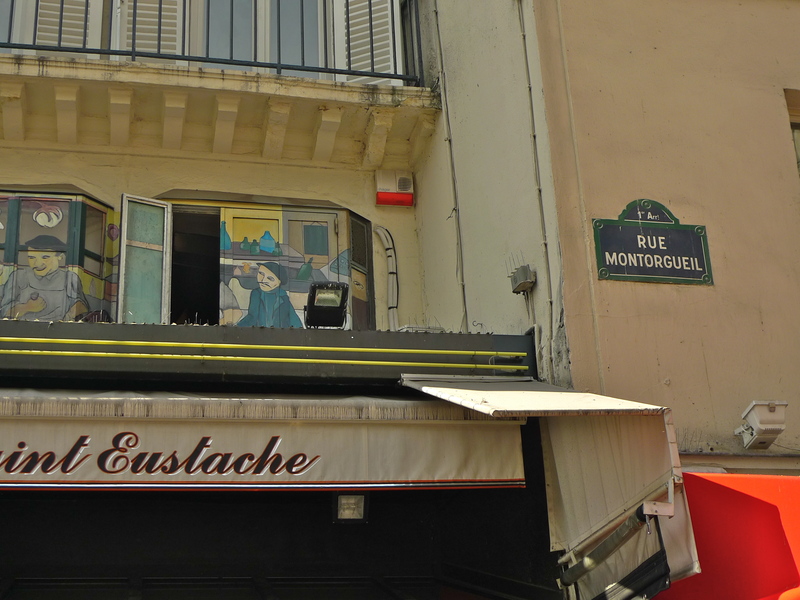 In times past this was a fashionable place to be seen where its clientele included dandies, courtesans, aristocrats and members of the Jockey Club de Paris. 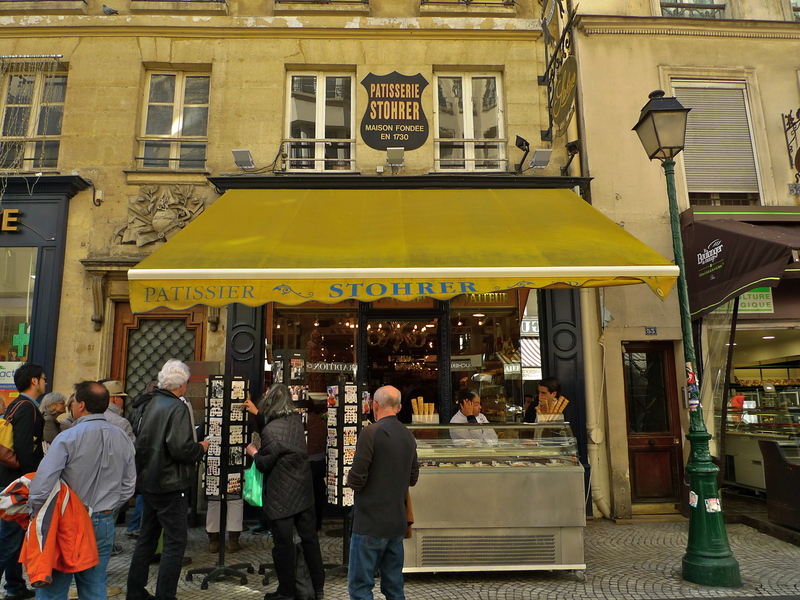 At N° 51 is the La Pâtisserie Stohrer, the oldest pâtisserie in Paris. 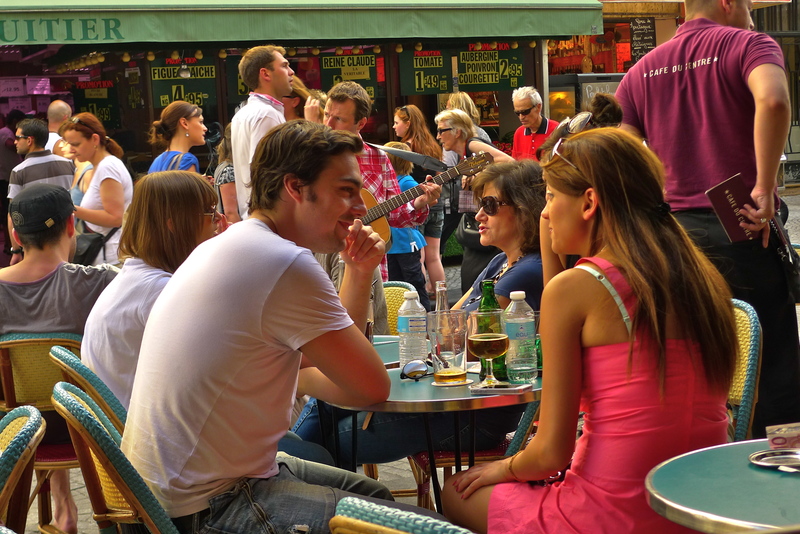 In 1725, Louis XV married Marie Leszczynska, daughter of King Stanislas of Poland. 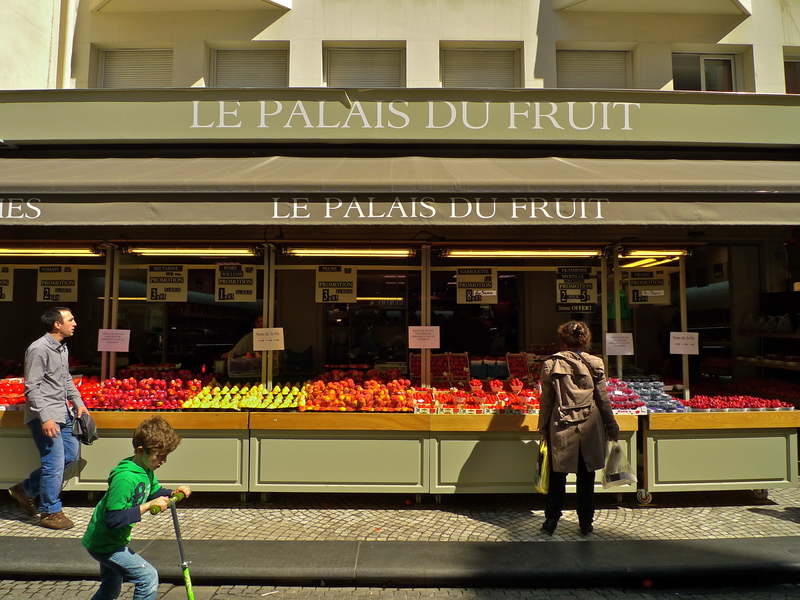 Her pastry chef, Nicolas Stohrer, came with her to Versailles. 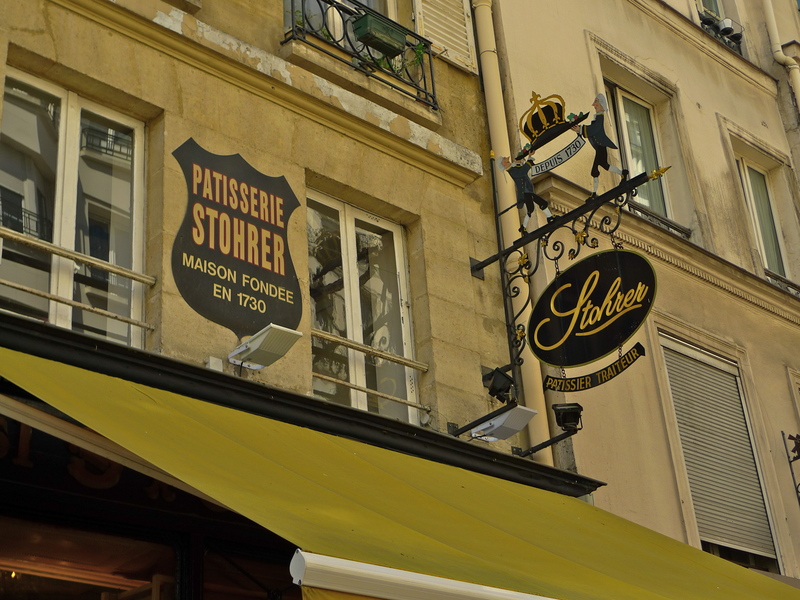 In 1730, Stohrer opened a bakery at N° 51 where he invented desserts for the King’s Court including the Baba au Rhum or Rum Baba. 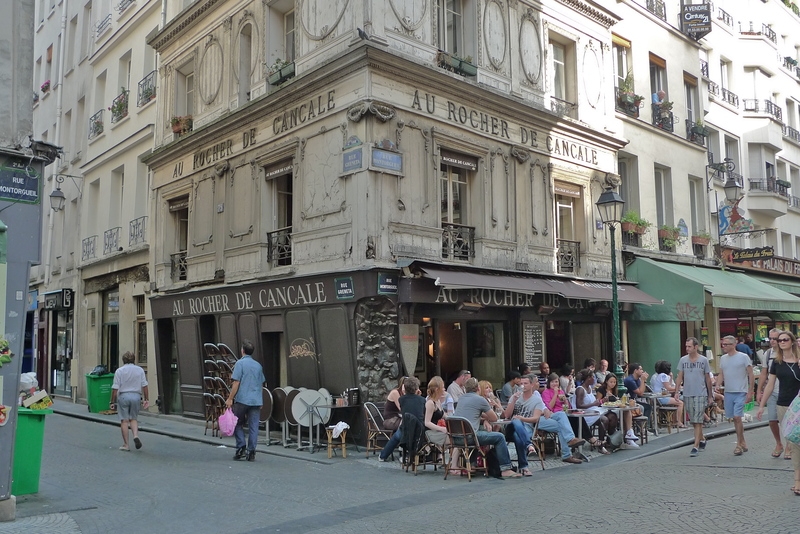 If you’ve never been to rue Montorgueil it’s well worth a visit. 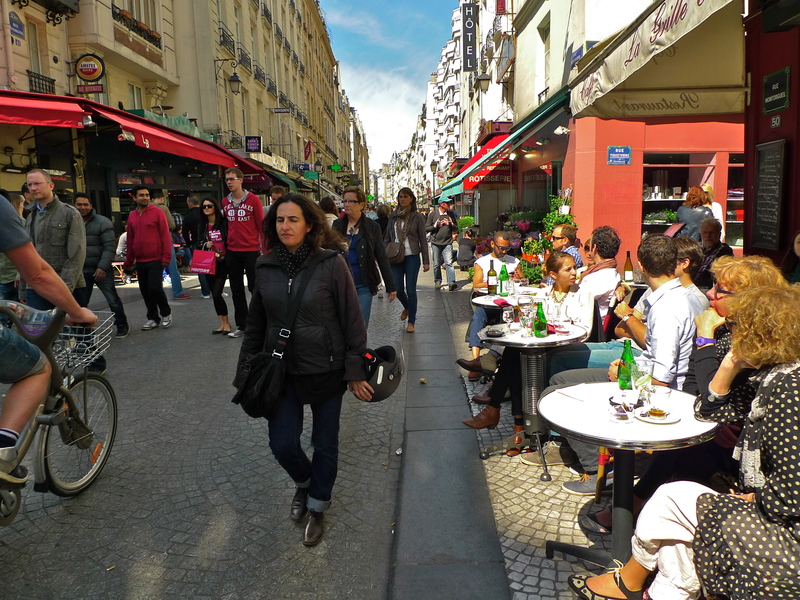 Here are some more sights to enjoy while you listen to the sounds of the street.